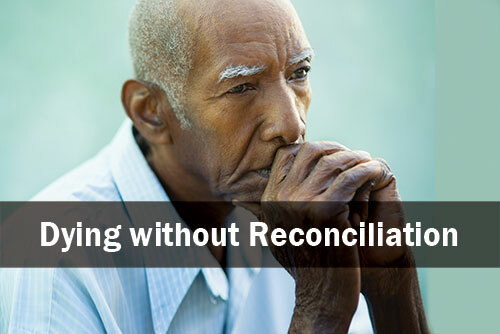 Countless people in nursing homes or Hospice, those who are shut-ins or sink, and those about to receive surgery or who are hospitalized (among other cases) have not reconciled themselves with God. They are living in darkness, and if they were to die with an unforgiven mortal sin on their soul, they will not be able to spend eternity united with our Lord in heaven. Many people in these situations only receive anointing of the sick which is a wonderful sacrament and sends much healing and graces into the ailing soul. However, we must remember anointing of the sick doesn’t forgive mortal sin*. Only through the sacrament of reconciliation, for those with a sorrowful heart, can be reconciled with God. Devastatingly, confession as a requirement for salvation, is rarely mentioned by family members or visitors in these situations. Satan has unfortunately succeeded at sidetracking us from what is truly important in life…salvation and the path that leads there. Educating people on the importance of the sacrament of reconciliation both within and beyond the church is essential; it is our moral responsibility to one another. * However, if anointing of the sick is given to an unconsciousness or unable to communicate person who has made an act of imperfect contrition (told God they were sorry) prior to their loss of conscious or communication then their mortal sins are forgiven by the power God sends through the priest’s hands during the sacrament.